Cambridgeshire and Peterborough Clinical Commissioning Group does not support the prescribing of medication that is available to buy from local pharmacies or supermarkets for children or adults with common illnesses and minor ailments that they could treat themselves at home. • Patients are responsible for looking after themselves and their children where possible and for treating self-limiting minor ailments with support from their local pharmacy if needed. • Patients should keep a small supply of simple treatments in their own medicine cabinet so they are able to manage minor ailments at home. These should be kept secured from young children. • All these medicines are widely available from supermarkets and pharmacies at reasonable cost. • Many of these treatments are more expensive when prescribed on the NHS compared to when they are purchased in pharmacies or supermarkets. For example, paracetamol is approximately four times as expensive on prescription. • The NHS belongs to everybody and the CCG must ensure that its resources are used in the best possible way for all patients. From 1st September 2017 in the interests of patient clinical safety Firs House Surgery will no longer be accepting telephone repeat prescription requests and orders. We moved to to the electronic prescription service in February 2016. This means that all prescriptions (unless specified) go directly to the pharmacy of your choice for you to collect. This is done via our clinical system and the pharmacy system. A GP will still need to sign the prescriptions. This is done electronically. All actions are audited so it is safer and there is less risk of losing a prescription. You will still need to allow 48hrs for your prescription to be ready. However, this means you will be able to collect from any pharmacy that has EPS in the country, you will just need to nominate your pharmacy. It is up to the patient to ensure the correct pharmacy has been nominated, just bear this in mind if it changes temporarily. Patients can still collect prescriptions from the surgery should they wish too. Please leave your repeat prescription request in the box near reception. 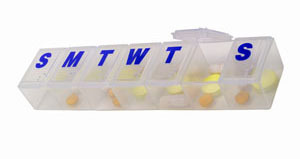 Please allow 48 hours for your prescription or medication to be ready for collection. If you would like your prescription posted to you, please provide a stamped, addressed envelope. Some medications may need to be reviewed with you before they are issued, you will need to see a Doctor for this and will be informed if you need to do this.